The NA-D7100 is a shining example of one of the best housings on the market today. 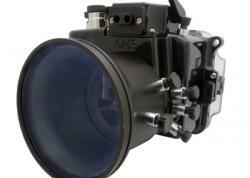 Nauticam just added a new housing to its extensive catalog, this time for the Nikon D7100. The NA-D7100 was modeled on the successful D7000 and D600 housings, and was built specifically for the newly released Nikon D7100. Read more about Nauticam's new housing and details on lens support and supporting accessories. 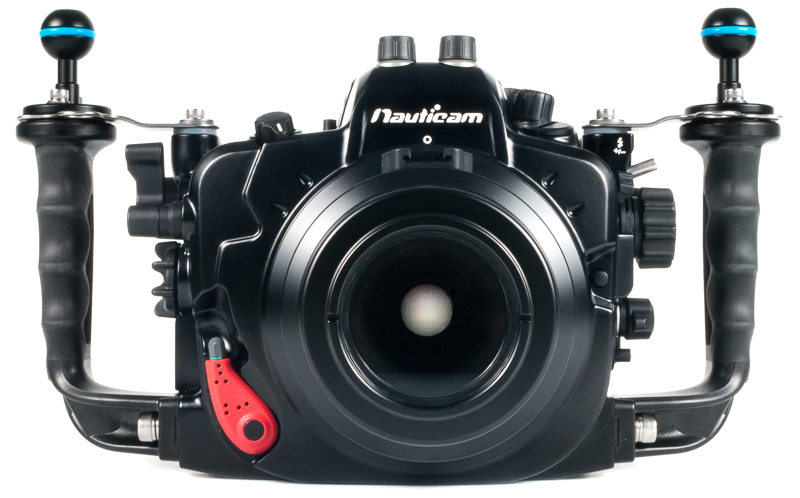 Nauticam pioneered numerous engineering breakthroughs in previous housings that now come standard on the NA-D7100. The patented housing Locking Latch System has received acclaim worldwide for its ease and functionality. These recessed latches are equipped with safety locks, reduce bulk and require minimal physical effort to engage and release. 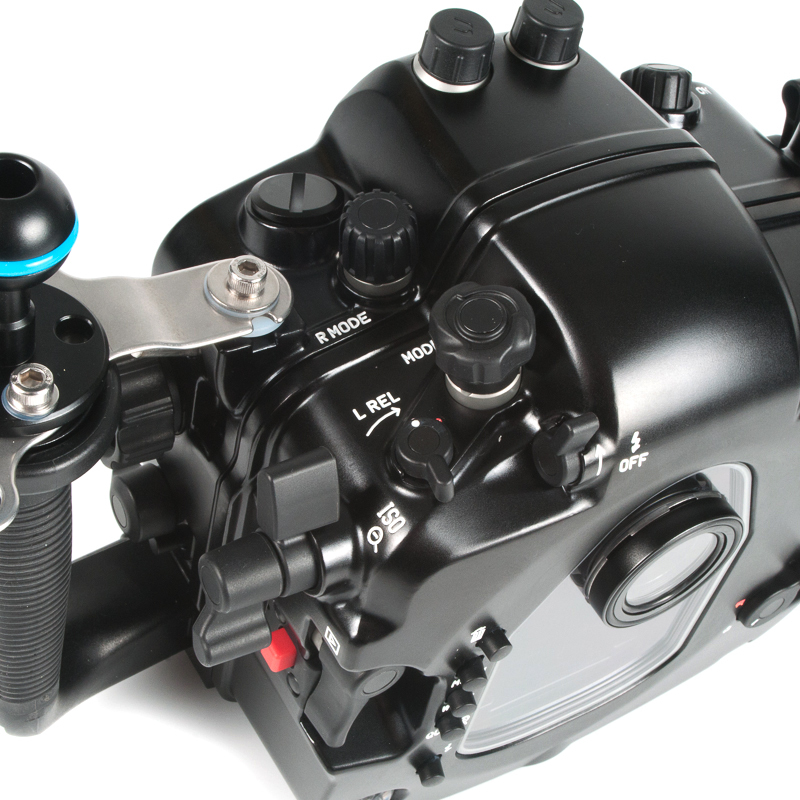 Port changes have never been simpler than utilizing the Patented Nauticam Locking Port Release. No wrestling, no twisting, no misalignment - just seat and lock. Lens changes are also easily accomplished without removing the camera from the housing using the lens release button logically accessed on the housing front. The lightweight, rugged Nauticam handles are generously contoured with a durable over-mold process of comfortable non-slip rubber. HDMI Monitor, sync cables, remote control, etc. Nauticam housings are the finest, most ergonomic, most usable camera housings on the market today, and the NA-D7100 is a shining example of that. Every control is well thoughtout, every button, lever and switch considered not in terms of what is easier for the designer, but what is right for the shooter. One example is the patent pending Multi Controller Pad that is located within easy reach of the right thumb. The device virtually recreates the Nikon multi selector on the back of the NA-D7100 housing allowing full multidirectional use of this powerful tool, and no other manufacturer has it. Nikon declares the D7100 to be the current "DX format Flagship" and has designed the D7100 to take every advantage of the DX format. The D7100 is a major step up from the popular D7000, and should prove to be every bit as successful. 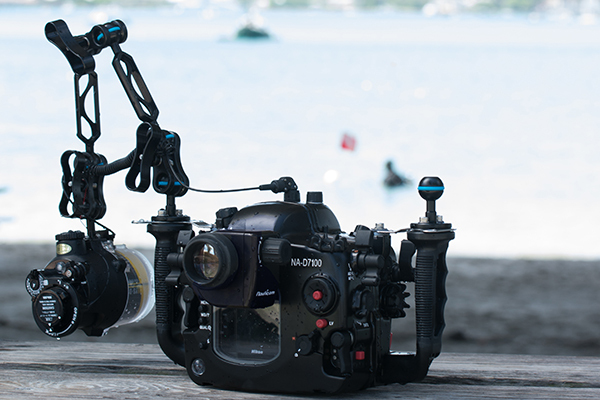 The DX format is important for underwater shooters as it provides high quality/high performance shooting while being easier to shoot and less demanding in regard to lenses than full frame cameras. The quality of an image is only as good as the glass it was captured with, and Nauticam firmly belives that every lens that makes sense to be used underwater should be supported. Nauticam's lineup of ports, together with Zen Underwater dome ports is the most complete and extensive in the industry. 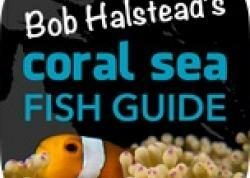 Nauticam carefully evaluates new lenses, and is often first to market with support when a new lens is offered. Nauticam also provides the industry’s only locking extension rings in every size potentially required, thus preventing port slippage when using extension rings. Nauticam additionally offers a full range of port adapters allowing existing housing owners to use their current ports, reducing the cost of switching to a Nauticam housing. Port Adapters are available for Aquatica, Ikelite, Inon, Nexus M5 & M6, Sea & Sea NX, Seacam, Subal Version 3 & 4, and Zillion lens ports. A high resolution camera like the Nikon D7100 demands perfect focus for optimal results. Fortunately, Nauticam has developed the most user-friendly interchangeable precision viewfinders in the world. The standard optical glass viewfinder is very goodand travel friendly, but many photographers prefer the ease of a magnified viewfinder with adjustable diopter. Nauticam produces a “straight” 180º enlarging viewfinder and a 45º angled enlarging viewfinder to enhance the ease of close quarters work often associated with macro shooting. Both viewfinders have high quality optics allow viewing of the entire image. A patented external dioptric adjustment allows personal adjustment to a sharp-as-a-tack standard underwater and viewfinder changes can be executed in less than 30 seconds without using tools. Exceptional composition and focus accuracy have never been more accessible. 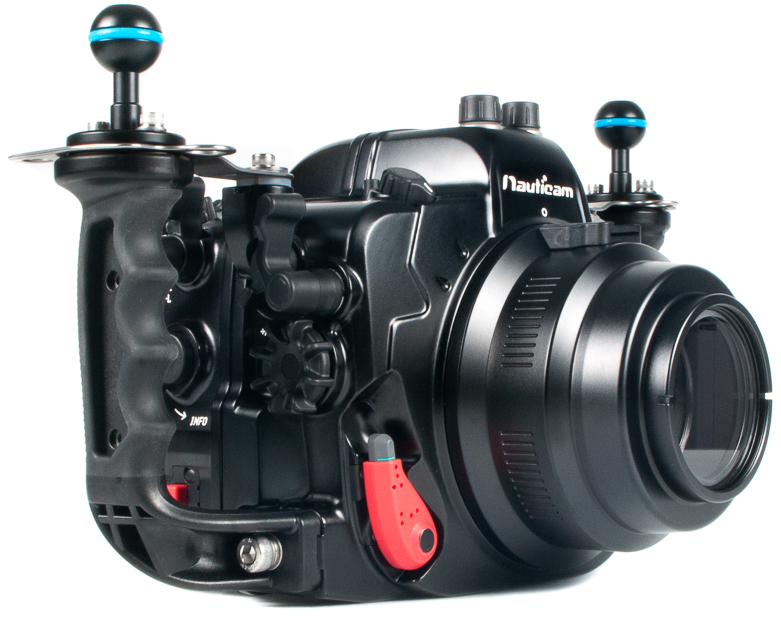 Nauticam’s NA-DP4 housing for the Small HD DP4 Monitor can take video performance to another level by rendering the video image in a position more amenable to the shooter. The monitor housing easily mounts to the top of the NA-D7100 and utilizes the optional HDMI Bulkhead for true HDMI connectivity. Utilizing DP4 features like Focus Peaking, Focus Assist, False Color, 1:1 Mapping and more, this larger monitor vastly improves composition, focus capability and exposure. The Nikon D7100 represents the highest resolving and most capable Nikon DX camera to date, and the Nauticam NA-D7100 is ready to take it to new depths with the most ergonomic, best designed housing in the world. 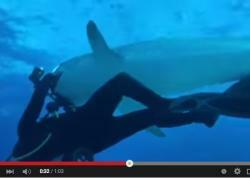 Find out for yourself why so many people have made the switch to Nauticam.